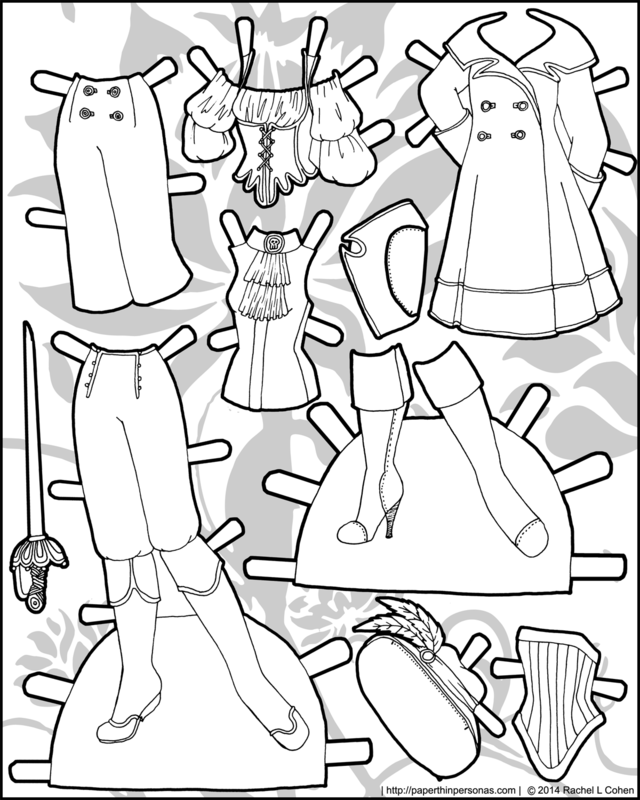 When I started the Ms Mannequin paper doll series, my goal was to draw primary contemporary clothing. I had high plans of doing stylish designers and other things. Maybe dabbling a little into vintage Dior, but mostly being contemporary. 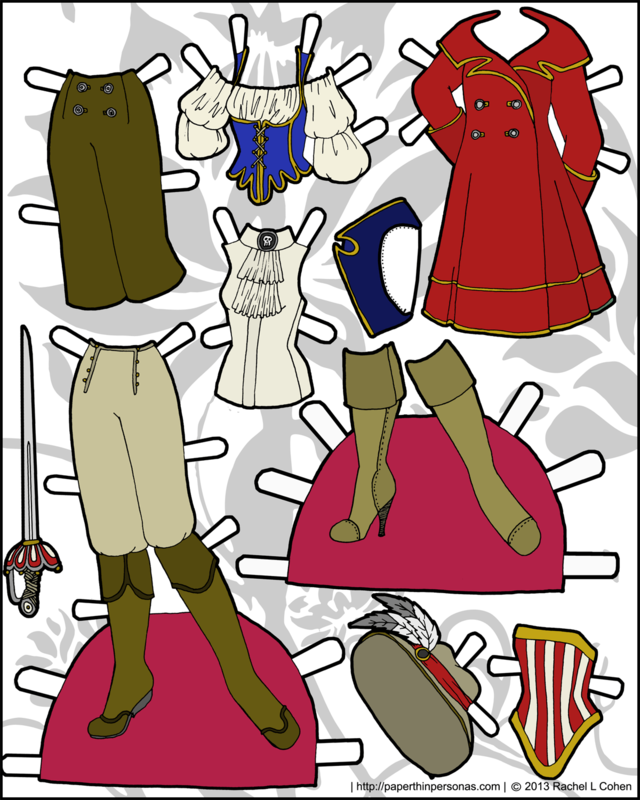 The dolls were designed to be models, not curvy at all, so they could wear the contemporary styles. And so this pirate set was born. What can I say? I like pirates. I feel like there’s nothing “new” about this pirate set though, so I’m not sure it’s my best set. Still… sometimes you just have to draw pirates. For what it’s worth, I support pirates completely.